ecording this music takes real engineering skill, so one of the great gifts of the Cage centenary year is this marvelously produced effort. What makes a great engineer great? All I can say is that, beyond having amazing ears, Dan understands the sound of percussion instruments more than most professional percussionists. He has the ears, the technique, the gear, and is always excited for the most off-the-wall projects we bring to him. To sum up: Unless you are a practitioner or unabashed aficionado of these instruments, then this is strictly a CD for dipping into. One thing is unquestionable: sound quality is first-rate. ...an absorbing new disc by the saxophonist Ryan Muncy. The exuberant trades and dueting of the opening “Invocation” lift skyward as though each bell were tethered to a helium balloon. The dynamic range on display throughout the album further magnifies the elysian quality of Thomas’s writing, and Third Coast’s performance is as synchronous as it is dramatically fertile. First Construction (in Metal)” has never sounded as good as it does here: the prepared piano throbs with real grit in its bass chords; the metal instruments struck are all distinguishable and present. a hard swinging, hard boping, and blues filled musical journey with a modern sensibility. 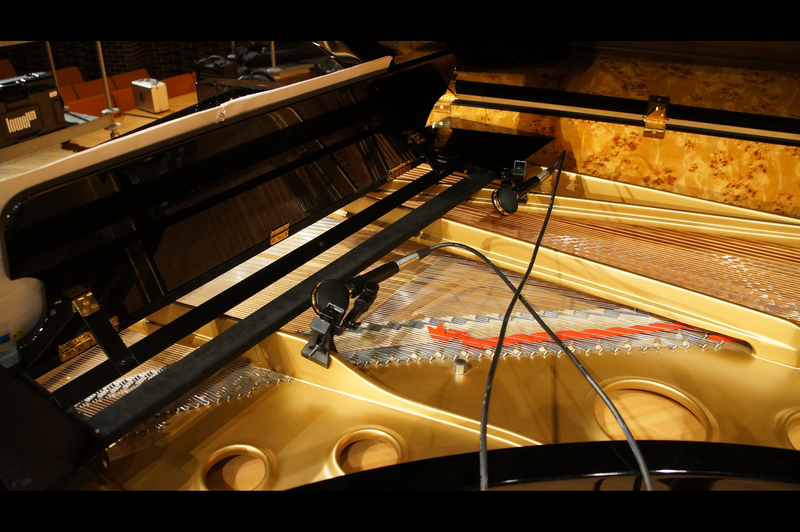 Kudos also go to the recording engineers, who have miraculously kept the sound from being sudio-dry, while managing to capture fine detail as well as giving each sound a bit of space to breathe. he recordings alone are of exceedingly high quality and satisfying in and of themselves, and the DVD adds another layer of depth, personality, and—quite literally—color to the music that is well worth the investment. Bliss out to Ms. Thomas’s transfixing shimmer on the immaculately recorded CD, and marvel at the ensemble performing the intricate work on the accompanying DVD.